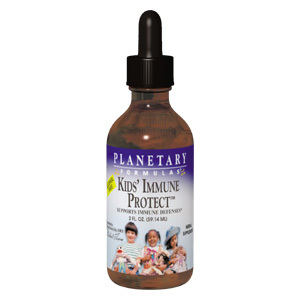 Kids' Immune Protect(tm) helps boost resistance at the start of winter and is especially helpful for back-to-school challenges.This great-tasting liquid is based on a classic Chinese formula featuring astragalus, which has been shown in research to support immune defense. 35 drops (1 ml) twice daily between meals, or as recommended by your health care professional. Other Ingredients: glycerin, purified water, natural orange flavor, potassium benzoate, potassium sorbate, and citric acid. Kid's Immune Protect Liquid - is shipped in a discrete, unmarked package. Orders are processed immediately and usually take about 3 to 5 working days to be received. We do ask that you try it for 2 to 3 weeks to feel the full effects. Any information received is used only for order processing and shipping purposes. Your information, such as e-mail address, will never be disclosed to a third party.